It was a June day when I began my career as a national journalist. I stepped into the Detroit Bureau of The Wall Street Journal and started on what would be a long, varied, rewarding career. I was 23 years old, and the year was 1970. That’s not a typo. In the best professional decision of my life, I converted myself into a tech columnist in 1991. As a result, I got to bear witness to a historic parade of exciting, revolutionary innovation — from slow, clumsy, ancient PCs to sleek, speedy smartphones; from CompuServe and early AOL to the mobile web, apps, and social media. My column has run weekly in a variety of places over the years, most recently on The Verge and Recode under the Vox Media umbrella, where I’ve been quite happy and have added a podcast of which I’m proud. So I see retirement as just another of these reinventions, another chance to do new things and be a new version of myself. In fact, Baker’s obliviousness to technology, at least in 1991, was pretty normal: computers were increasingly prevalent in businesses, but still, there were only 18 million personal computers sold that year (as a point of comparison, there were about 18 million smartphone sold every four days in 2016), and the majority didn’t even have a graphical user interface (Windows 3.0 had come out the year before, but DOS was dominant until Windows 95). Moreover, there wasn’t much of a consumer market at all, in part because many of the apps we associate with consumer usage barely existed: Microsoft Word and Excel had launched, but trailed the market leaders — WordPerfect and Lotus 1-2-3, respectively — while Adobe Photoshop had launched the year before. id Software, perhaps the company most responsible for making the PC into a gaming device, was founded in 1991, but its first game, Wolfenstein 3D, wouldn’t come out until the following year. However, it turned out that Mossberg’s timing was far more momentous than he probably knew when he sent that prospectus to Pearlstine: it was around the same time, in January 1991, that Tim Berners-Lee switched on the servers that hosted the first ever web page; in other words, Mossberg invented the position of technology columnist right when the technology that would ensure the industry’s impact was felt by every single person on earth was invented. As I’ve noted on multiple occasions, including in a recent appearance at the Code Media conference (itself a creation of Mossberg and Kara Swisher), the industry that has most dramatically felt the impact of the Internet is the media, and the arc of Mossberg’s career as a technology columnist reflects that. 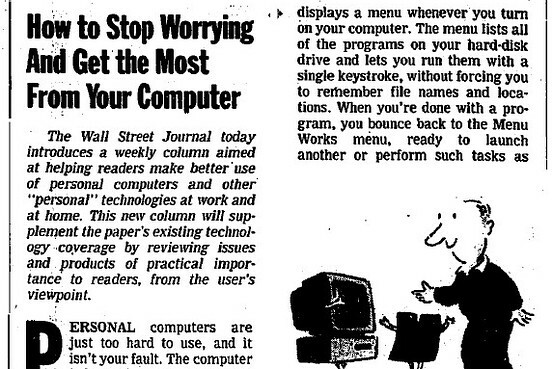 Mossberg’s first column, How to Stop Worrying And Get the Most From Your PC, was only available in print — remember, the World Wide Web had only been invented a few months prior. Indeed, a big reason Pearlstine even gave Mossberg the opportunity to launch his Personal Technology column, over the objections of many at Dow Jones, was that Mossberg had long since proven his value over the 18 years he had spent at the Journal as a reporter: at least when Personal Technology started, the power flowed from the masthead, and it took Mossberg nearly two decades to earn the right to wield it. 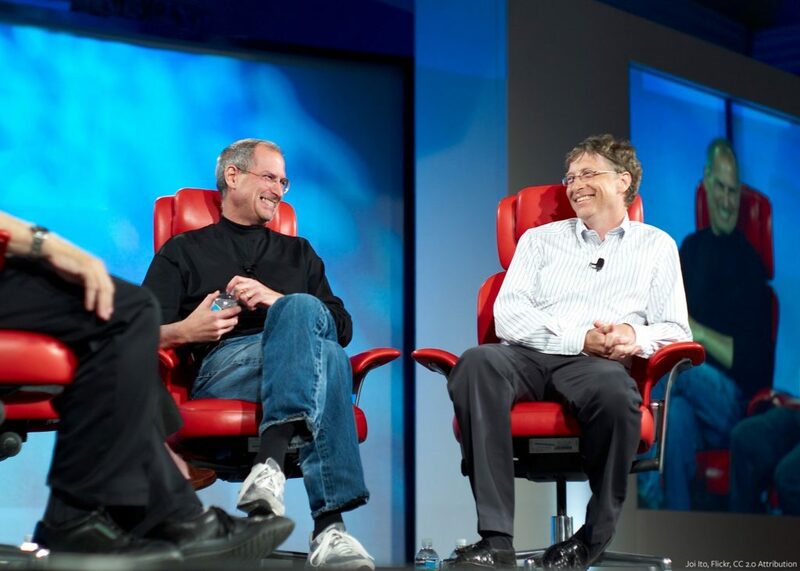 For the next decade Mossberg was, as that Wired profile is titled, the “Kingmaker.” Mossberg is credited with helping AOL overtake Prodigy, for killing Microsoft’s abusive and intrusive Smart Tags, and, perhaps most of all, for chronicling the rise of Apple. Personal computers are just too hard to use, and it’s not your fault. This quality was on display when Apple opened its first retail store. It happened to be in the Washington, D.C., suburbs, near my home. He conducted a press tour for journalists, as proud of the store as a father is of his first child. I commented that, surely, there’d only be a few stores, and asked what Apple knew about retailing. He looked at me like I was crazy, said there’d be many, many stores, and that the company had spent a year tweaking the layout of the stores, using a mockup at a secret location. I teased him by asking if he, personally, despite his hard duties as CEO, had approved tiny details like the translucency of the glass and the color of the wood. He said he had, of course. That mattered to Mossberg just as much as it did to Jobs, and if caring about the entire experience meant he was biased towards Apple, then I rather wish not just every tech writer but also every product manager and CEO would be biased as well. Ten years later Mossberg and Swisher would take the conference and the tech-focused news website they had built around it independent, rebranding it from All Things D to Recode. By all accounts the conference (and its various offshoots, including the aforementioned Code Media conference) continue to be a success, but the website struggled, drawing only around 2.5 million unique visitors a month 18 months after launch, leading Mossberg and Swisher to sell their new company to Vox Media. It was tempting after the sale to presume that an individual brand can only take you so far, that you need a big media company behind you, but I think that’s a mistake; as a counter-example, consider John Gruber’s Daring Fireball, which as of 2011 had over 4 million visits a month. Granted, many of those are repeat visitors — Daring Fireball’s unique visitors were about a fifth of that — but that’s kind of the point: if you care about Apple, for example, would you rather read Mossberg once a week or Gruber once a day? Obviously this point is personal: three months after Recode launched, Stratechery added the Daily Update, a subscription offering for people that wanted daily content about the business and strategy of technology. Note the narrowing: Mossberg was the arbiter of all consumer products; my goal is to not really cover products at all. Not only do I not have Mossberg’s eye, I am also cognizant of the fact there are a multitude of sites and hundreds if not thousands of writers focused on nothing else but doing what Mossberg did alone way back in 1991. Consumer technology used to be niche, and on the Internet, niche is powerful; now it’s a commodity, and the economics reflect that. Catch the wave Mossberg did, and in the process, created the blueprint for another. That’s a pretty good career. The news will be posted on the Web site about midnight, said Neil Budde, the Interactive Edition’s editor in chief. A few articles will be withheld until 2 or 3 A.M., he said, so that competing newspapers will not be able to see them until the day’s editions are printed. Previous post: Exponent Podcast: Screw-ups Are Fun!